Leather Seats, Navigation, Sunroof, All Wheel Drive, Back-Up Camera, Turbocharged, Premium Sound System, Satellite Radio, iPod/MP3 Input, Bluetooth®, Aluminum Wheels, Keyless Start, Dual Zone A/C MP3 Player, Remote Trunk Release, Keyless Entry, Child Safety Locks, Steering Wheel Controls. 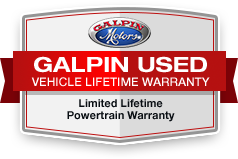 PowerLife Limited Lifetime Warranty, Other Rental Vehicle. CarAndDriver.com's review says "Svelte and swoopy, the latest S60 is an eye-pleaser that makes the world forget Volvo's boxy sedans of yesteryear.". Great Gas Mileage: 29 MPG Hwy.